The most common type of head pain is a tension headache. For some, the pain feels like a tight band is wrapped around the head. There may also be dull pain on one or both sides of your head or behind the eyes. Tension headaches often build up gradually and can last for a few hours or even days. Stress is often the culprit, but bad posture can be a contributing factor as well, because of the way the spine and muscles in your upper back and neck impact your head. Migraines are severe and often throbbing headaches. 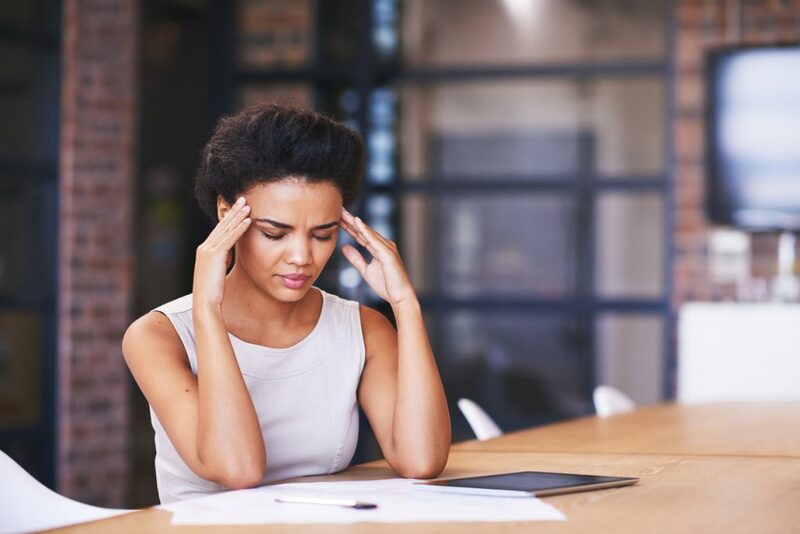 In addition to head pain, many sufferers—and women are more susceptible to this type of headache than men—also experience nausea, vomiting, light-headedness and sensitivity to light and sound. Like a tension headache, a migraine may last for hours or days. Unlike people who have tension headaches, people with migraines often learn to recognize when one is about to begin. Before the migraine, they experience an aura, which is a visual symptom of seeing flashing lights or having blurred vision. From the viewpoint of a chiropractor, headaches could be caused by a misalignment, or subluxation, in the spine. Misaligned vertebrae can lead to nerves and muscles becoming irritated and inflamed. Chiropractic adjustments align the vertebrae, so pain, stiffness and irritation vanish. Therefore, regular scheduled adjustments may also help decrease the frequency of headaches. As mentioned above, posture may play a role in the development of tension and migraine headaches. If you spend your day seated in a desk chair looking at a computer screen and tapping on a keyboard, then you are probably straining your neck and back muscles. This may increase the chance of spinal misalignment that can lead to headaches. In addition to having chiropractic adjustments, you may also need to make lifestyle changes. For example, if you sit at a desk all day, make time for break at least once an hour so you can walk and stretch for a while. For migraine sufferers, keep a diary of when you have headaches. You may begin to see a pattern in foods, sleep and exercise that are linked to the onset of a migraine. Don’t put up with the pain of a headache. Call a chiropractor todayto schedule an appointment and find out if adjustments can relieve your headache pain. Dr. Wills provides chiropractic care in Naples, FL. For pain management, he offers chiropractic treatments, therapeutic exercise, weight loss and management, soft tissue therapy and strengthening and rehabilitation. To get in contact with Dr. Wills, click here.